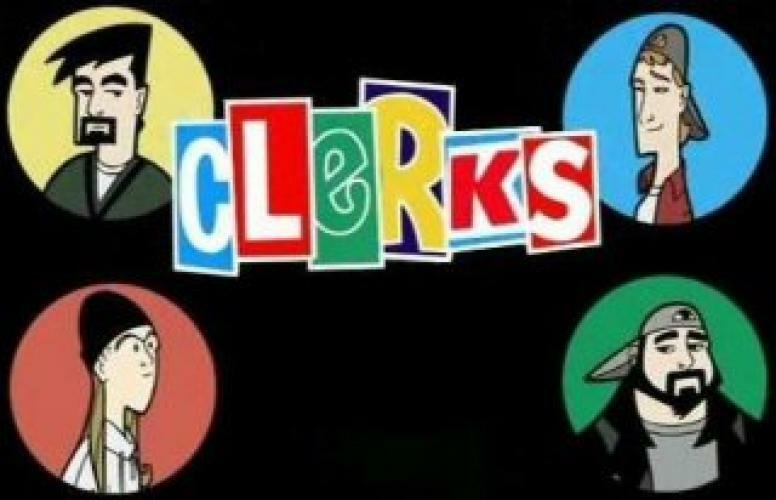 When will be Clerks next episode air date? Is Clerks renewed or cancelled? Where to countdown Clerks air dates? Is Clerks worth watching? It's the continuing adventures of clerks Dante and Randal, two guys just trying to make the best of menial labor! With constant interference from the outlandish Jay and Silent Bob--follow the clerks' wildly improbably antics from one riotous episode to the next! Filled with big laughs and hysterical jabs at popular culture--anyone who enjoys fun, irreverent comedy won't want to miss it! Billionaire Leonardo Leonardo returns to Leonardo, New Jersey and opens the Quicker Stop right across from the Quick Stop, nearly costing Randal and Dante their jobs. Dante and Randal get locked in the freezer. There, they look back on their lives, primarily in clips from the same and previous episode. Clerks next episode air date provides TVMaze for you. EpisoDate.com is your TV show guide to Countdown Clerks Episode Air Dates and to stay in touch with Clerks next episode Air Date and your others favorite TV Shows. Add the shows you like to a "Watchlist" and let the site take it from there.